Gateway Properties is a small, busy happy seafront family owned and operated business with a loyal and friendly team. Led by principal Doug Kennedy and his wife, Rosslyn with their daughter Cristin Kearney and son-in-law Danny Kearney, we are a family company with a lifetime of local knowledge & experience. Doug & Rosslyn have owned & operated Gateway Properties for 20 years and have lived on the Redcliffe Peninsula for decades. Gateway is located on the Waterfront at Redcliffe directly opposite Suttons Beach with easy parking. The Peninsula is a relaxed seaside town in Brisbane's Northern suburbs and less than 30minutes to the airport! Our staff are long-term, experienced & dedicated and are also considered to be part of the wider Gateway family offering you friendly, outstanding customer service with a personal touch. 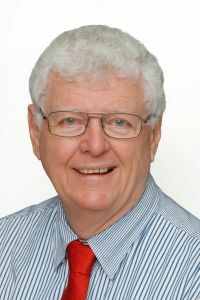 Doug has been selling Real Estate on the Redcliffe Peninsula and surrounds for over 30 years. Doug came from a sheep station outside Winton and was Secretary/Manager of the Winton Club when he was first married. Many bush people move to Redcliffe ~ if you cant have the rolling downs you love the rolling waves! Land is in every bushies blood and so many ex-bushies get involved in Real Estate. Doug started work with Ray White at first and then had the franchise. Doug is quite convinced the independent agents give greater personal service then the 'Big Guys' franchise offices who are only pushing their own agenda. Doug loves the position of our office ~ right on the waterfront, the satisfaction of seeing his own business thrive through hard work and total commitment. We have a great team who have all become part of the 'Gateway Family'. With lots of fun & laughter. Doug says 'We have made some great friends over the years through real estate'. Doug is very involved in the local community through our Art Gallery, Seaside Artists, which we set up to support local artists and use to raise money for local charities. We are also one of the major sponsors of the Redcliffe Show. Probably the achievement Doug is most proud of is the fact so many of his past Buyers & Sellers send all of their friends and relatives back to Gateway ~ Doug says 'I must be doing something right!' Call Doug anytime if he can be of assistance to you. 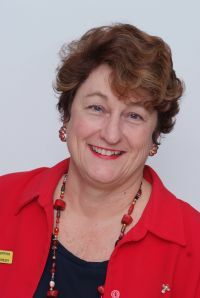 Rosslyn Kennedy has been selling Real Estate for over 20years in Redcliffe. She and Doug have owned Gateway Properties since 1990. Rosslyns grandfather retired from the family sheep station (between Winton & Richmond in Nth Qld) to the Redcliffe beachfront. Her parents bought the house 2 doors away from his aunt & the family spent several months of the year in Redcliffe & the rest in the bush. So Rosslyn has a lifetime connection to Redcliffe. As a child Sunday drives with her grandfather & parents consisted of looking at land to develop in Redcliffe & Deception Bay so real estate is in her blood! 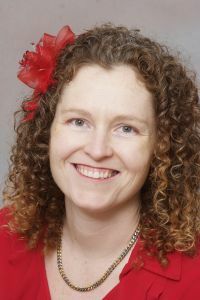 Rosslyn has a Bachelor of Arts from the University of Queensland & has worked as a journalist, also teaching & nursing as well as on the family property. All these skills have ideally suited her for her career in real estate which mostly involves listening to what people want & working tirelessly to help then. Many times real estate people must have the sympathetic ear & the compassionate shoulder to cry on. As well as running a busy & successful business Rosslyn & Doug are very involved in the community with their Seaside Artists gallery in Cominos Arcade. The ball room is a delightful venue to provide support for over 60 local artists including the adult Kennedy children who are all artists. Rosslyn has been invited onto various local committees for the future vision of Redcliffe & also the Redcliffe festival celebrations. Lynn first came to us over 7 years ago as our Sales Administrator and Bookkeeper. 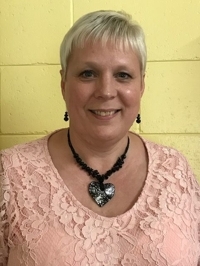 She is a registered BAS Agent and has owned and operated her bookkeeping business with a huge variety of clientele, for over 15 years. 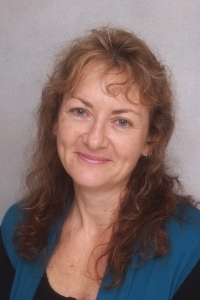 Her previous experience has been in the mining industry and working in solicitors and investment companies. She has extensive knowledge in all aspects of General and Trust Accounting. Lynn is everyone’s favourite and not only because she does the wages! She is a super efficient Manager, computer trouble shooter and manages Lease Renewals and all aspects of Rentals Mid and EOM processing. Always calm and friendly, Lynn is another jewel in the crown of the Gateway team. Cristin Kearney started in Real estate when her parents Doug and Rosslyn Kennedy bought Gateway Properties in 1990. Cristin started in property management when she was 18 as a trainee and moved quickly up to be a fully qualified Senior property manager at the tender age of 21. Cristin stayed in Property Management for over ten years and then moved to Sales administration for a few years. 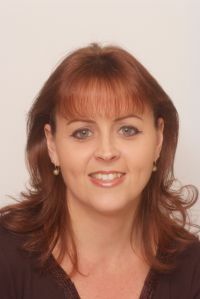 Cristin is a fully-qualified licencee and has had 20 years in the real estate industry. 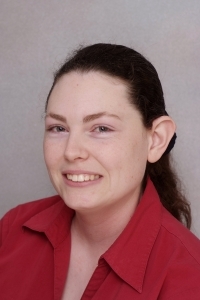 Cristin did have a break from Real Estate for 3 years where she worked for Australian Maritime systems in Brisbane. Even though she enjoyed the change the travel on the Gateway (excuse the pun!) became a nightmare and she came back to Gateway Properties not long after her husband Danny joined the team in 2007. Cristin and Danny have had a delightful bubbly little boy Trent William Kennedy Kearney born in 2009 who takes up much of Cristins time however she has come back part-time to help in Rentals, Sales and training and where-ever she is needed to help keep a happy stress free Gateway team! Kylie with her bright & bubbly nature has over 6 years Property management experience and with her impeccable sense of service and superb people skills she is an exceptional asset to our team. As our main point of contact for new tenants she ensures our standards are kept high across our properties. Kylie is a stickler for detail and her unwavering dedication to clients along with her passion for great service has been proven time and time again. Phoebe is a local Redcliffe girl the youngest of Doug & Ross four children (3 of whom work in the business too). Phoebe has worked with the Gateway family for the past 12years. She is a quiet achiever and an integral part of the gateway team being our main Sales marketing girl. She does all the sales advertising, listing authorities and contracts and assisting with Sales administration. In Phoebes spare time she is an artist and writer and loves computers & her ipad and iphone. We would be lost without our Phoebe! Originally from Scotland, Jan joined the real estate industry whilst living in the Cost Blanca region of Spain. 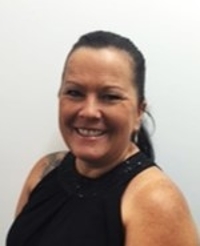 She re-located to Brisbane in 2007 and is delighted to have the opportunity to return to her Property Management roots with the Gateway Team. With a high standard of integrity and care, you can be assured that you are in very capable hands. Nicky is our first port of call when you walk into our office reception. She has recently relocated to the area and has a number of years in the Real Estate industry. She offers experience with a no nonsense approach. With a happy disposition. Nicky takes pride in assisting in a professional yet polite and friendly manner. When dealing with Nicky, rest assured that you are dealing with someone who really does care about you. We are very fortunate to have this lovely lady working with us and look forward to a prosperous ongoing future relationship!